Foundations are a bit like buses. None for ages, then loads seem to come out at once that you want to try. 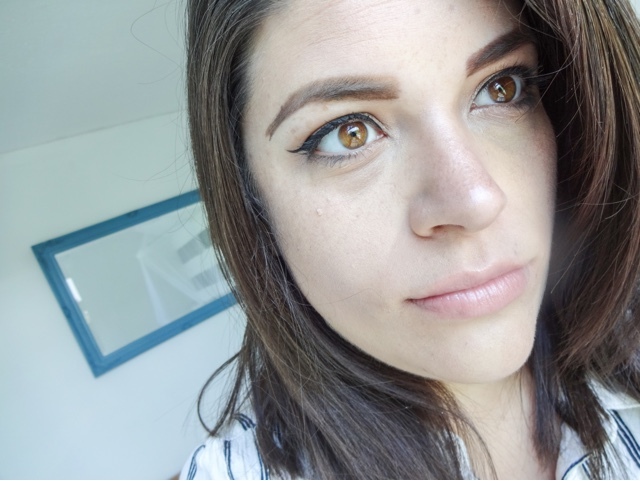 A couple of weeks after finding my new holy grail foundation (which you can read about here), there was a new launch at the other end of the market that caught my eye. I haven't actually used a L'Oreal foundation for a while, despite religiously using them during my teenage years. They just don't seem to have launched anything that interesting for a while, but their new launch, True Match Genius, looked well worth a try. "Four professional gestures in one easy step! Perfectly matches your shade, your skin, your life. All in one formula includes a priming gel, a creamy base and mineral powder pigment to create the best possible skin tone match." "Skin perfecting pigments and the ultra gliding creamy texture give a homogeneous finish. Even better colour matching, and more luminous and radiant skin than before. Even longer wear and better comfort. All you see is your skin at its best." I really liked the idea of a four in one product - it just sounded like a great easy option for those mornings that don't quite come together, where you run out of time for endless layers of primer and powder. As for it's 'matching' abilities? Well, to be a 90's throwback and quote Shania, 'that don't impress me much.'. I mean, its just the basic function of any foundation to match your skin tone, someone write and tell L'Oreal that shouldn't really be a selling point, especially not if I'm picking the shade to match. That's definitely more my achievement than the foundation's at that point. One thing I do really like about this product is the packaging. It comes in a slimline plastic compact, housing the pan of product, a cellulose application sponge and a decent mirror. This means its super handy to take with you on the go, especially if it lives up to its claim to replace primer, concealer, foundation and powder with one super-product. 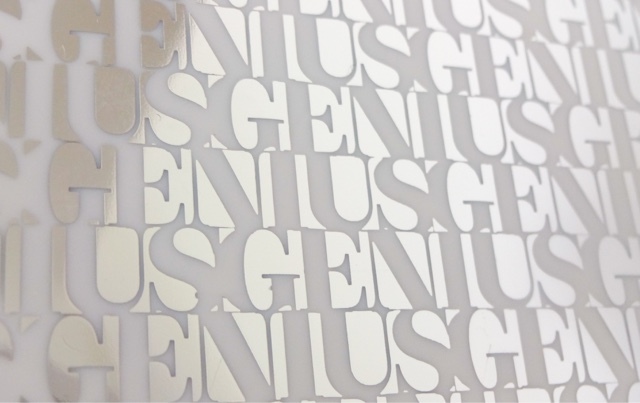 The compact is silver with the typeface 'Genius' running across it in white lettering - quite bold and stylish. I think some of the L'Oreal packaging was looking a little dated, but the new items they are bringing out are definitely more modern. 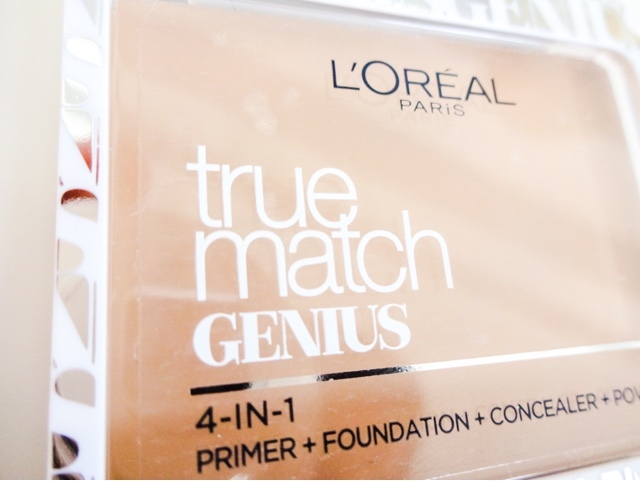 L'Oreal True Match Genius has a nice, creamy texture, almost gel-like and it glides on nicely, but I found it a little patchy. 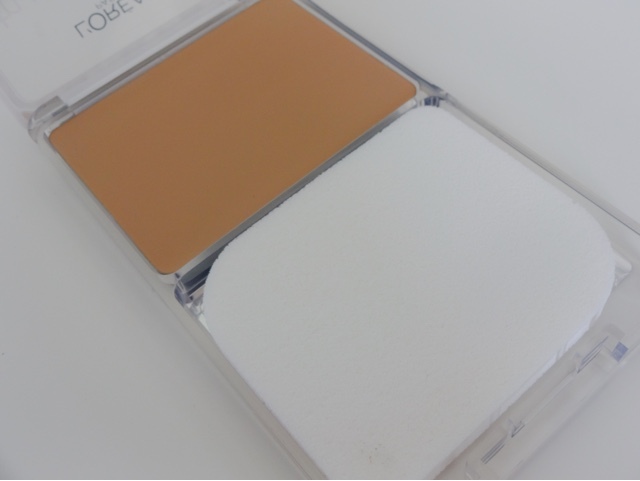 With the included sponge, it was actually fairly hard to get an even coverage, especially over areas like the nose. The applicator certainly isn't 'genius', so you're much better off using a stiff-bristled synthetic foundation brush or a blending sponge to apply. Most of the applicators that come with products are rubbish, so I'm not sure why I thought this would be any different. The finish is quite dewy and although it claims to set to a powder finish, I don't think this is the case. If you like a dewy finish, this will suit you, but anyone with oily skin is probably going to struggle. It does feel lightweight and soothing on the skin, which is nice. There are currently only six shades available, but I'm sure they will expand that if the product does well. 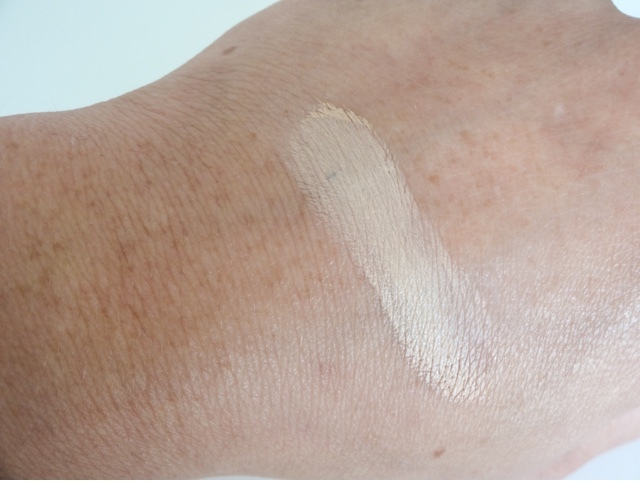 I found a match for my NW20 skin in 'Golden Beige', but this is only the second shade in and I'm not exactly pale, so those with paler and darker skintones may struggle a bit to find a good fit. Seems a bit ironic for a product marketing itself on its shade matching abilities! Although this product isn't awful, I must say it does fail to deliver on all the promises it makes. As a foundation? Its quite good - smooth, creamy, blendable. As a primer AND foundation AND concealer AND powder replacement? Absolutely no way. It did not give the smoothness or the lasting power I would expect from anything calling itself a primer - my fine lines were still very visible. There's no way it replaces concealer either - as you can see from the clearly visible eye bags on the picture above! And it does not dry to a powder finish - I would definitely want to use powder on top. So really, although this is a decent cream foundation, they should have left it at that, rather than trying to spin it as some wonder product. Its also not very long lasting, and struggled to go half a day on me without looking patchy and imperfect. Again, it might perform better when used with primer, concealer and powder rather than pretending it does all those things in one! 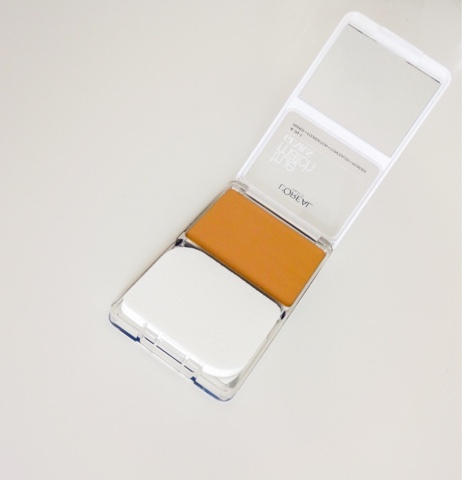 L'Oreal True Match Genius is a nice, medium coverage cream foundation, but that's really where it begins and ends. Perhaps I've been spoilt by finding such a beaut in Too Faced Born This Way, but I'm not massively impressed with this. At £12.99 its certainly affordable, but probably at the slightly more expensive end of the drugstore, and I honestly think you could find a better product for less (Maybelline Dream Matte or Dream Creamy spring to mind straight away). Where this will do well is as the kind of product you chuck into your bag to touch up with on the go. But its certainly not going to be repurchase for me because it doesn't come close to replacing all the products it claims to. Genius? More like average......nothing much to hate on, but certainly not as good as the hype.